NEW Cottage home style COMING SOON! Contact us today to learn more. LOCK IN LAKE-SIDE VIEWS OR BACK TO GREEN SPACE! NEWEST PHASE NOW SELLING – ONLY A FEW OPPORTUNITIES REMAIN! NEW PHASE & NEW HOMES NOW SELLING! Diverse home designs w/ owner suites and two additional guest bedrooms on the 1st floor! State-of-the-art amenities – including pools, entertainment and recreational centers, a crabshack and a brand new Beach Shuttle from May to September! Millville by the Sea is Delaware’s next great beach town. Located just four miles from the pristine sand and surf of Bethany Beach, this gorgeous master-planned community is inspired by the classic beach towns of the East coast. Multiple distinct neighborhoods offer homebuyers a range of choices depending on their desired architectural style, and with amenities such as a state-of-the-art lifestyle center with an outdoor grill and crab shack and hiking trails, you’ll feel like you’re on vacation everyday. Christopher Companies is offering a diverse selection of luxurious single-family homes within the community, with distinguished features such as sumptuous owner’s suites, nine-foot ceilings, optional screen porches, patios, and more, to enjoy the outdoors. First floor living is a hallmark of Millville by the Sea, but a loft second level is available for those that want to expand their living area. Millville by the Sea is a new home community with the spirit of the quintessential American beach town exuding front-porch-friendly charm. All amenities are in place and new residents are already participating in special events and holiday parties while taking advantage of the beautiful pool, pond, fishing pier and trails. As the community progresses, new neighborhoods and other amazing amenities you’d expect at such an amazing beach town — will be developed. 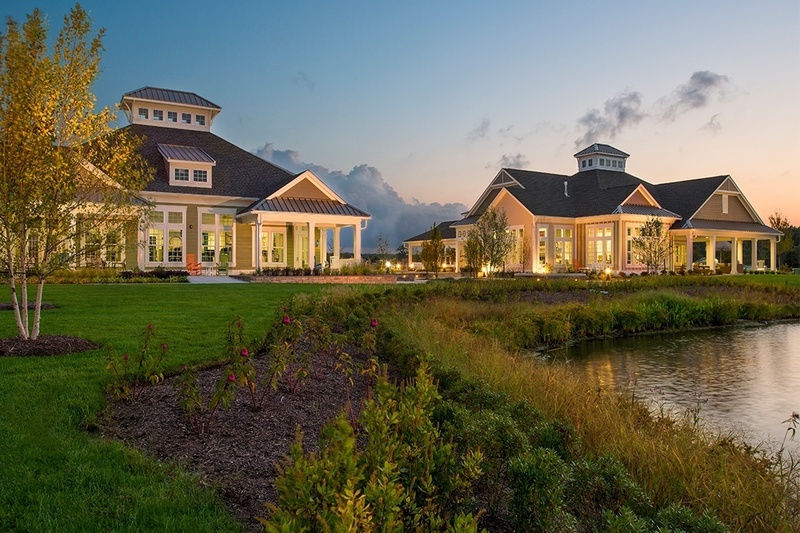 Millville by the Sea features a new lakeside Lifestyle Center offering recreation and entertainment amenities, both inside and outside, for residents of the community. The Lifestyle Center includes an outdoor Crab Shack, Pub, relaxing lounge area, meeting and gathering spots, and Wellness Center featuring a computerized fitness library and state-of-the-art equipment. View Millville by the Sea’s brand new website at www.millvillebythesea.com! Beach access is as easy as hopping on our exclusive shuttle, which takes you a few minutes away to Bethany Beach! This popular “Avalon” home is almost 2,100 sq.ft. and comes with 4 bedrooms & 3 bathrooms on one of our best homesites, backing to acres of open space! Additional landscaping is included. Enjoy first floor living with a large owners suite, dual closets, & a customized owners bath including a walk-in shower w/ tiled floor & bench seat. An open layout, upgraded kitchen cabinets/appliances, home office, guest bedroom, & upgraded vinyl plank flooring throughout round out the first floor upgrades! Treat your guests to a private oasis with the included 2nd floor guest quarters complete with a loft, full bath, & bedroom. All of this comes included & less than 5 miles to Bethany Beach! This 1,802 sq. ft. beach cottage “Atlantic” is the home you’ve been waiting for! Enjoy dual owner’s suites on the 1st and 2nd levels, both with large owner’s baths and walk-in closets. You’ll love the front & side covered porches to allow you to maximize your time outdoors. Complete with a wonderful variety of upgraded selections, including granite countertops, designer cabinetry, stainless-steel appliances, gorgeous flooring throughout, a 6′ family room extension, and so much more! This isn’t just any house, it’s one you’ll want to call home. This homey 1,628 sq. ft. home will have you in awe as soon as you walk in the door! Enjoy a covered front porch leading to an inviting open kitchen and family room layout. Complete with a first floor owner’s suite and plenty of upgraded finishes, including a fireplace, white kitchen cabinets & granite counter tops with stainless appliances and gas cooking, side porch and a private yard (mowed by HOA). This isn’t just any house, it’s one you’ll want to call home.